Singapore Airlines re-launched its nonstop flight from Los Angeles to Singapore on November 2, and I headed over to LAX for the festivities. Before you start thinking this is a trip report, let me stop you. I didn’t go anywhere. (And that’s a good thing since the inaugural had a mechanical issue and had to turn around an hour into the flight.) But Singapore did invite me to crawl around the aircraft before boarding, and here’s what I saw. The ULR in the aircraft name stands for “ultra long range,” and that’s exactly what Singapore needed. Singapore and the US are nowhere near each other, and up until now, it’s been impossible to fly nonstop between the two points profitably. That, however, didn’t stop Singapore from trying. Previously these flights were operated by an A340-500. That gas guzzler was barely able to make it, so it was outfitted in a very light configuration. You could get around 300 people in a normal 3-cabin layout on that airplane, but Singapore started flying it in 2004 with just 64 business class seats and 117 extra legroom economy seats. By 2008, a change was made, and Singapore stripped the interiors and installed only 100 beds in business class. This service lasted until 2013 when the economics just couldn’t be ignored any longer and the flights were cut. The A350-900ULR has two efficient engines compared to the A340’s four thirsty ones. I had expected a more dense cabin, but I was wrong. Singapore’s regular A350-900 has 42 business class, 24 premium economy, and 187 coach for a total of 253 seats. The ULR, however, has only 67 business class and 94 premium economy for a mere 161 onboard. Let’s start with the 94 in the back, because that to me was the most impressive cabin. Singapore has these seats in a 2-4-2 configuration. It’s a nicely designed seat from an aesthetic standpoint, and it has a lot of space with 38 inch pitch. Each seat comes with a pillow and blanket, but there’s nothing particularly opulent about them. There’s an adjustable snake light for each seat, as well as a place to put cups on the armrest. It has a domestic First Class feel to it from that perspective, but there’s more to it than that. There is a padded legrest that comes out of the seat as well as a footrest that comes down from the seat in front. Though we couldn’t sit for long, this seemed very comfortable for the time I was there. There is also a gigantic screen in the back of the seat. Any of these seats would provide a nice ride, but there are six seats in the back that take the prize for best seats in the back cabin. The aircraft narrows at the back, so the last three rows are in a 1-4-1 configuration. It feels something like flying on the upper deck of the 747 since you just have a giant bin next to you for storage. It looks strange, but for people who prefer aisles, these are the clear winners. Of course, business class is much nicer than premium economy, but that’s how business class is supposed to work. This isn’t the newest version of Singapore’s business class that you’ll find on refitted A380s but rather it’s a slightly older model. All the A350s (ULR or not) will have the same seat. The seats are in a 1-2-1 configuration and have a ton of room. The bed goes fully flat, but your legs have to angle toward the side where they fit in a snug cubby under the console of the seat in front. When I say “snug,” I mean it. There isn’t much room to maneuver. Someone I spoke with who has taken one of these flights confirmed that it’s tight at the feet. But up above, there’s nothing but room. Possibly my favorite thing is that there is decent stowage in this seat, including a place to put your shoes or a small bag down at the bottom, even during take-off and landing. At first glance, the controls appear a bit overwhelming, but with 17 hours to figure it out, it can’t be that hard. Overall, it looks like a solid experience in both cabins. The seats themselves aren’t significantly different from premium economy or business class on other Singapore aircraft, but for those who haven’t seen any of those, this will give you a good idea of what you can expect onboard. These airplanes are on all Singapore – Newark and Singapore – LA flights as well as some of the Singapore – San Francisco flights. The rest of the San Francisco flights along with the newly-announced Seattle nonstop will be flown with regular A350s. While the product looks nice, I still wonder if Singapore can make money flying these with only 161 seats onboard. That’s a lot of fuel to burn for not that many people. Then again, Singapore has tried this before, and should know the revenue potential. Sleeping diagonally takes getting accustomed to. Food is scarce in economy with cold sandwiches as the only snack for the 12 hours in between main meal services. It is mandatory to wake up mid-flight for a meal service to accommodate crew’s resting schedule. EVA Air has better wine selection. Aisles are narrow to the point it’s impossible not to bump pax arms. Not comfortable being forced to stay in your seat for 16 hours due to lack of space to congregate without being in the way of crew. given how long initial service takes on a long haul, either it’s 12 hours between meals or they’re waking you up mid flight – but not both. Cannot comment on the 18 hours in J until Thursday, but can attest that the meal schedule of SQ’s SFO – SIN flight in Y is also terrible. Just when the cabin finally settles and sleep sets in, and before you’re actually hungry for another full meal, lights flip in and you’re physically woken up to eat. By the time you land in SIN, you’re hungry. I’m SIN based and much prefer flying via TPE and / or ICN. Did I read correctly that there are no traditional coach “Y class” sets on this plane? If so the only difference from the A340 and A350 is fuel burn? Personally this seems like a route that signals an economic peak. I did check great circle mapper – 8770 miles. If you do LAX-ICN-SIN it’s only 91 miles longer. Too bad that mechanical wiped out any time savings of avoiding a layover. A – Yes, that’s correct. No coach so it is not dense. But they had to know what the revenue opportunity looked like going in, right? I mean, I hope so. Just booked this flight in biz in May for honeymoon. All those UR points finally paid off! How many UR points did on RT in biz cost you? We booked 154k each LAX-SIN-SYD one way with 3-day stopover. That’s the first class “saver” price. So, yes, paying first miles for biz on LAX segment but got the A380 double bed suite for the SYD flight. 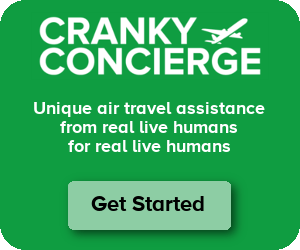 Cranky, how wide are the premium economy seats? Looks like about 19.5 inches wide. The seat itself is comfortable enough, but at 2-4-2, the difference is obvious compared to the 2-3-2 found on many A350’s premium economy and SQ’s own product on the 777 and especially A380. SQ’s A350 is the only premium economy I’ve flown that I felt I had to remain constantly conscious of elbow space with the person next to me. Perhaps the most notable aspect of the A350ULR is that SQ seems to be developing as many nonstop routes to SIN as possible – but at the cost of excluding coach and operating the flights it does at a very high CASM. UA’s flights to SIN from SFO operate on fairly normally configured 787s so their CASM has got to be lower. SQ has traditionally provided the volume to SIN via its 5th freedom routes from the US to FRA, Japan and elsewhere in E. Asia. SQ seems to be putting its coach passenger market up for grabs by other carriers. And of course other carriers do serve SIN via connections on flights that can carry full passenger loads. The real question is whether any other routes to SIN will open up from the US that can carry a full normal passenger load. One has to wonder if a couple dozen more seats on a plane that burns less fuel really provides a viable business model for SQ or whether airlines can either siphon off traffic via intermediate points or serve the market with other aircraft such as the 777LR which is probably the only aircraft besides the 787 that could carry a full passenger load in a normal configuration from the major east and west coast markets. SQ does fly it’s regular A359 to SFO. That was the original response to counter UA’s first SFO-SIN launch in 2016. However the upcoming additional 3x weekly are on the ULR, and that looks like it’s a reaction to UA switching its LAX-SIN to double daily from SFO. And Airbus took advantage of (its development of the ULR for) SQ to develop the 280 tonne MTOW non-ULR variant which could fly LAX-SIN with full or substantially higher payload. Not the range of the 77L but enough to make it cost effective to LAX and some others (possibly YYZ). Recently flew SQ business class on the A350 (BNE-SIN, SIN-AMS). The most uncomfortable business class seats flying today. You need to be six feet tall to sit comfortably, and for sleeping the surface is rock hard. Also, not a great setup if you’re travelling as a couple, but that’s not the primary market for business class, and increasingly common. I actually didn’t mind the cubby for the feet. Daniel – Ah, that reminds me. On the ULR, they are giving a mattress pad of sorts so it should be more comfortable than the regular one. Interesting that so far only SQ has actually ordered the A350-900ULR and it seems increasingly unlikely that anyone else ever will (the only other airlines that were interested in recent years, such as PR and QR, dropped out for various reasons). Wonder why. Airbus now offers a non-ULR variant with a higher maximum take off weight (280 tonne) with a range of 8,100nm (approx. 9,300 statute miles) carrying 325 pax. PR took that for its MNL-JFK flights. And the 280t could also fly LAX-SIN with a full payload. That makes the ULR pretty much a white elephant (not enough range for Qantas to fly SYD-LHR/JFK) and SQ is at the moment stuck with them and only flying 161 pax to Los Angeles (and SFO 3x weekly) when they could fly more. Delta and United (if they ever do take their A359 deliveries) might be advised to look at the 280t, as it may be useful for more ultra long hauls to the likes of India (think BLR). Is there any particular reason why Delta (and indeed, any airline other than SQ) couldn’t order the ULR? Considering Delta’s interest in the A350 and their ULR routes. Also, I mean, sure the 280t version exists now, but wouldn’t its existence simply mean that SQ could have gone for that instead? Or how perhaps other airlines could have ordered the ULR before? I remember reading on CAPA before that it was Airbus themselves who told PR not to order the ULR since “PR could get what they wanted with the regular A350” or something to that effect. SQ has a $54/bbl fuel hedge for the next couple of years. They’ll be fine if they stick with JFK/LAX/SFO mega markets that have the demand to SIN and beyond. This is roughly what they were paying for fuel back in the day with the A345s. Replace those four gas guzzling hair-dryers with two fuel efficient monsters and this is more than palatable. I’m not quite sure how they managed $54/bbl in the days of the A345, when fuel was consistently over $100. When they ended the A345 services (fall 2013 IIRC) fuel was at around $120/bbl according to the IATA jet fuel monitor. Let give you an alternate reason the original service ended. The original Singapore Airlines Contract for the aircraft was one of the worst kept secrets in the industry. The requirement was for 200 passengers in 3 classes on the Singapore Los Angeles service against 90% head winds(i.e. the aircraft had to able to fly the mission reliably). Singapore Airlines had a ‘walk-a-way’ contract, if the aircraft didn’t meet the contractual requirements, they could simply walk away. The A340-500 was seriously overweight (literally tons), and it couldn’t get anywhere near the contractual requirements. There never was an F cabin on the aircraft, very simply the F furnishings weighed too much. Airbus felt that having Singapore refuse the aircraft would have been a marketing disaster, so for the length of the SQ lease, Airbus underwrote the losses on the operation as a way to get SQ to operate the service. Once the lease ended (at 5 years), Airbus no longer had to underwrite the losses. SQ returned the aircraft, and the service ended. I don’t think any A340-500 or A340-600 operator was happy with aircraft,, and as a direct result, not many were sold, and none of them were operated for very long. Emirates actually had 16 -600’s on order, and canceled them because they just could not operate the missions they purchased them for. The A340-500 also had the honor of being refused an airworthiness certificate by the FAA. The A340-500 has a belly tank, and originally the tank was in fact partially made up of the outer skin of the aircraft. The FAA balked at this ‘feature’. The problem is sooner or later every aircraft ends up making a wheels up landing (or a portion of the undercarriage fails upon landing), and the FAA felt that an unlined tank was an invitation to disaster, since in a wheels up landing, if there was fuel in the belly tank, a large fire was guaranteed.. Airbus did line the tank, and once Airbus agreed to do so, the aircraft was granted an FAA airworthiness certificate. Also, while on the topic of US-to-Southeast Asia flights, one thing that I don’t understand is how Philippine Airlines is able to have a sizable non-stop route network to the US, but none of the other SEA airlines (other than Singapore Airlines) are able to have one. Even Thai and Malaysian quit the US years ago, despite their respective countries’ economies being more developed than the Philippines. Looks like MNL-JFK, which Phillippine AIrlines started serving nonstop recently with a 777-300ER, is only 8,520 statute miles, while SIN-JFK would be 1,000 miles longer. Similarly, Great Circle Mapper shows MNL-LAX at 7,305 miles, vs 8,770 for SIN-LAX, and 8,270 for Bangkok (BKK) to LAX. Is the foot well as tight in business as Lufthansa? Christian – I don’t know, but others may be able to chime in. I recently took the Rounftrip LA to Singapore trip. Almost 18 hours there but under 15 hours back to LA. I was in premium economy. There was plenty of room to stretch out and hundreds of hours of movies and tv shows to keep me busy. Our first meal was a couple hours into the flight and then around eight hours later. There was constant snack offerings throughout the flight. It was a very comfortable right. I would absolutely do it again. So, Just What Is Wrong With American?